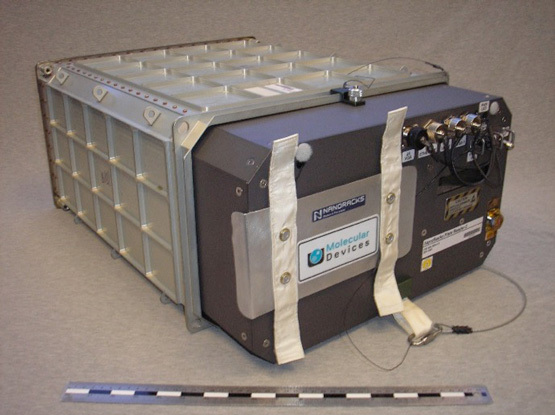 Download the press release PDF, and to inquire about researching on the International Space Station via the NanoRacks Plate Reader-2, contact NanoRacks at info@nanoracks.com. NanoRacks will provide regular updates on the Plate Reader program via @NanoRacks on Twitter and via email updates. For more information about the SpectraMax® M5e Multi-Mode Microplate Reader or other products from Molecular Devices, please visit our website (www.moleculardevices.com) or send an email to info@moldev.com.